I’m in love. Just when you think you have everyone in your life that you would ever need (other than grandchildren, but let’s wait a bit on that), along comes another new addition to the family. 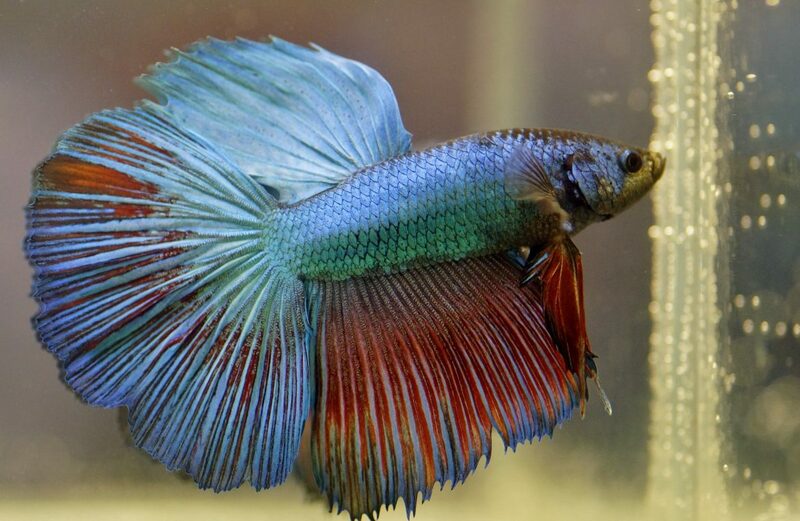 Calvin is a Twin Tail Halfmoon Male Betta Fish, and he is beautiful. We brought him home today (February 9, 2019) at approximately 4:15pm. He weighs… wait, hold on, let me put myself in check. He is not a child, and I have absolutely no idea what he weighs! 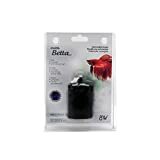 So How Did We Come to Owning a Betta Fish? 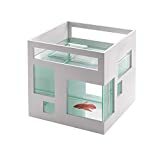 You may recall from my post in December where I wrote about buying gifts for the hard to buy for women in your life and that I found a gift idea for my daughter (who is now 18), and I said that I was thinking about buying her the Umbra Fishhotel Mini Aquarium. I had originally planned on having it all set up for her on Christmas morning, fish and all. 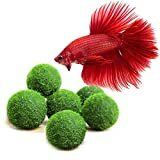 Unfortunately, most of you know that I lost my father on December 29, 2018, so Christmas was a bit of a difficult time this past year, and I did not have time to get her aquarium set up. I wrapped the tank itself as a gift, and told her that we would go out and get her a Betta Fish as soon as we were able. 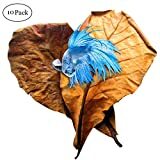 Today, I had to go out and get dog food for our Boxer Jax, and as soon as I said it out loud to my daughter, I remembered her fish tank! I had totally forgotten about it, so I asked her if she would like to come with me and choose a fish for her Fishhotel. Off we went. A Betta Fish, thermometer, heater, real plants, and fish food later, we were home to put Calvin in his penthouse. 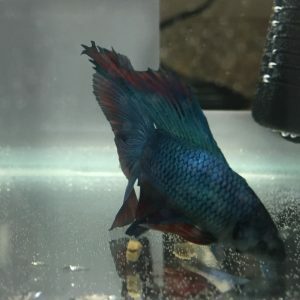 We researched how to move a Betta Fish into a new tank, and followed the instructions to a T. Calvin is happy in his new home, and the aquarium heater we bought for him has him feeling all warm and fuzzy!